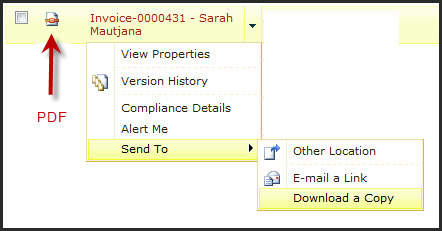 Have you noticed the “view only” permission level in SharePoint? The difference between read access and view only, is that view only permissions doesn’t allow users to download documents. However, there is a glitch in 2010 in that this view permission level doesn’t work when you assign it to a group. The users in that group will still be able to download documents. You need to allocated this permission level to users directly if you don’t want them to be able to download. They will then not be able to download. BUT, a second glitch is that they will still be able to download PDF’s. You need to use Information Rights Management (IRM) if you wish to restrict stuff on an any more granular level. I haven’t played with 2013 enough yet so not sure. Some call it a glitch but it clearly a bug .. Any tests with SP2013 ..
It’s definitely a problem but I don’t know what they regard it as. This is what they told me when I logged it as an issue on Office 365. “I have just tested this on an onPremise server and found that we will have the same issue, unless we set up the information rights management. The article below shows us a thread about SharePoint 2010. Do you happen to know if MS views this as a bug/issue that will likely be addressed in a service pack or patch or is it a by design limitation that there is no indiciations will be changed?